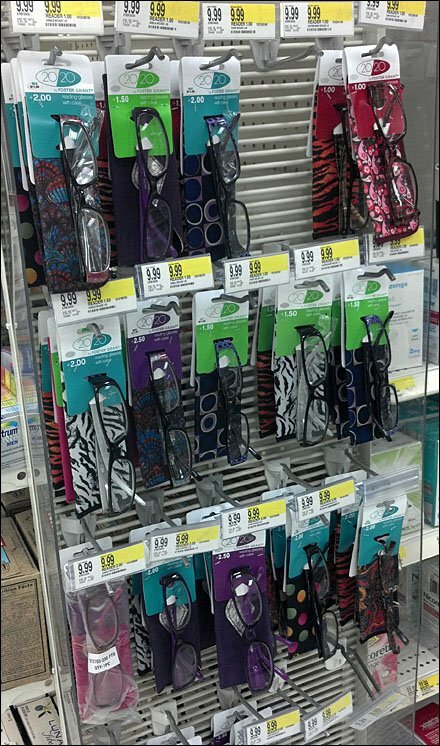 Color-coding of eyeglass and sunglass diopter strength is a wise strategy. It helps customers follow the thread of eyeglass strength across various frame styles. But is it as effective alone, or does it require an legend to help define the code? 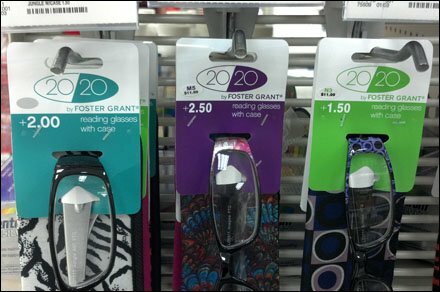 CLICK the thumbnail for an alternate view of these Foster Grant eyeglasses.